Are you planning a summer trip to Brazil? Rio de Janeiro is a beautiful, vibrant city that warrants the attention of any traveler. 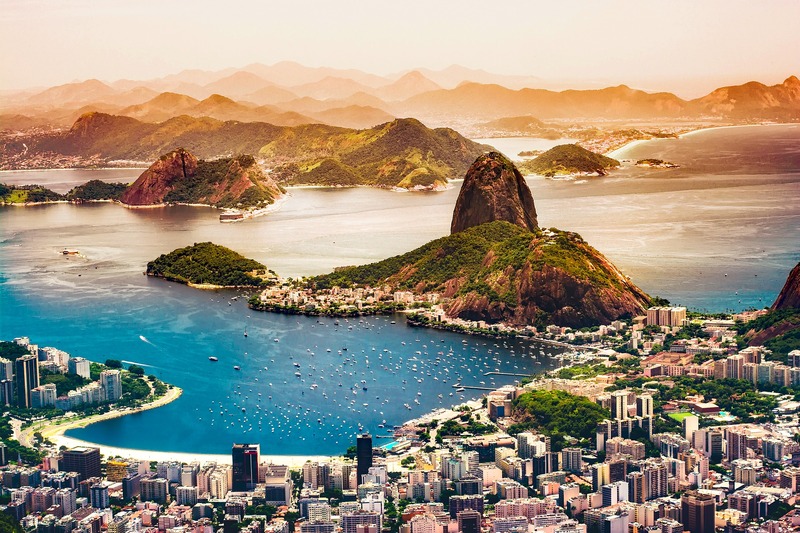 Whether you want to see Christ the Redeemer in person or take in the view from atop Sugarloaf Mountain, Rio is a city full of opportunity you don’t want to miss. Here are just 3 sights you need to see during your stay in Rio. Copacabana is arguably one of the most famous and stylish sections of the city and is surrounded on one side by miles of white, sandy beaches and beautiful ocean waves. The black and mosaic trail separating the traffic and beaches is reminiscent of Lisbon, Portugal. The streets of Copacabana are lined with cafes, smart shops, restaurants, boutiques, and so much more. You can even see the Copacabana Palace, now considered a national monument and one of many architectural marvels from when Rio de Janeiro was still the capital of Brazil. Also known as Christ the Redeemer, this gigantic concrete and soapstone statue of Jesus Christ stands at 98 feet tall with his arms outstretched 92 feet wide. This beautiful landmark stands atop Corcovado, a mountain standing at 2326 feet high, which is part of the lush, gorgeous Tijuca National Park. Around Cristo Redentor is a plaza that can be accessed from a rack railway that reaches the summit of Corcovado. This statue was completed with the ingenuity of Polish-French sculptor Paul Landowski and Brazilian engineer Heitor da Silva Costa. At the base of the statue, you will find a chapel that makes this location very popular for weddings. Along with Cristo Redentor, this rounded peak juts out from the landscape and is another easy way to pick out Rio de Janeiro from anywhere else in the world. Sugarloaf is 1,299 feet in height and is a magnet for tourists and others new to Rio de Janeiro. The view of the city and harbor is breathtaking, and tourists can even take a suspended cable car to or from Sugarloaf Mountain and the Morro da Urca, which is a smaller mountain where you can find another cable back into the city proper. A few of the early forts from when Rio de Janeiro was first settled are still in existence around Sugarloaf and the uniquely star-shaped Fort São João is available for touring. Whenever you’re ready to go to Brazil, you’re going to need a valid US passport and a Brazil visa. If you need either–or both–in just a few business days, give the experts at Texas Tower Houston a call at 713-874-1420 today.